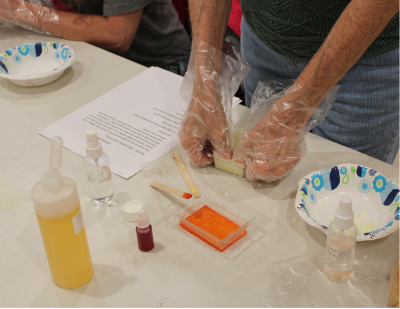 Join The Folk School at Florida Maritime Museum in welcoming back JoAnn Mancuso to teach how to make soap. This hands-on class is a great start to the world of soap making. Roll up your sleeves and begin making artistic and novelty soap with natural melt and pour soap base. You will learn how to make at least three different soaps to take home or give away as gifts. Unleash your creativity by customizing your soaps with color, fragrance and other additives such as herbs. The Florida Maritime Museum is at 4415 119th St. W., Cortez.